Dr. Gayle Woodson, is Professor Emerita and former Chair of Otolaryngology at Southern Illinois University. She is a graduate of Rice University and Baylor College of Medicine. After two years of General Surgery Training at John's Hopkins Hospital, she completed an Otolaryngology Residency at Baylor and a fellowship in Laryngology at the Royal National Throat, Nose, and Ear Hospital in London, England. Dr. Woodson began her Otolaryngology career as an Assistant Professor at Baylor. She was an Associate Professor at UC San Diego, and was also Professor at UT Memphis and the University of Florida, before moving to Illinois in 2003. She retired from SIU in 2014. She and her husband currently divide their time between Florida, Newfoundland, and Tanzania, where they teach at Kilimanjaro Christian Medical Center. Dr. Woodson's research focused on respiratory muscle physiology, laryngeal nerve injury and repair, and vocal fold scar. She has given invited lectures, in 21 countries on every continent except Antarctica. She has been very active in global medical outreach through volunteering and teaching in Africa, Central America, and the Middle East. Since retirement, she has published several short stories and written a novel, AFTER KILIMANJARO, with a pub date of October 8, 2019. She was the first woman elected to the American Board of Otolaryngology, and served as its Exam Chair for five years. She served as President of the American Laryngological Association, the American Academy of Otolaryngology/Head and Neck Surgery, the Society of University Otolaryngologists, and Chaired the Residency Review Committee for Otolaryngology. She currently Chairs the FDA Panel on ENT Devices. She has been elected to the Collegium Oto-Rhino-Laryngologicum Amicitiae Sacrum, the Johns Hopkins Society of Scholars, and the American Surgical Association. 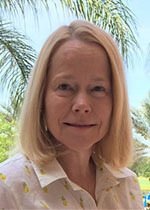 Her awards and honors include the Newcomb Award from the ALA, Chavalier Jackson Award from the American Bronchoesophageal Association, the Hans von Leden Award for Lifetime Achievement in Voice Care, and the Olga Jonasson Award from the Association of Women Surgeons. She and her husband, Tom Robbins, have 4 grown children and 4 grandchildren, and two Springer Spaniels. 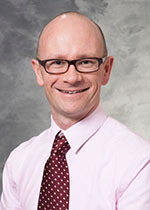 Nathan V. Welham, Ph.D., CCC-SLP, is an Associate Professor of Surgery (Division of Otolaryngology – Head and Neck Surgery) at the University of Wisconsin School of Medicine and Public Health in Madison, WI, USA. He completed his undergraduate, graduate, and early clinical training in speech-language pathology at the University of Canterbury in Christchurch, New Zealand; followed by a Ph.D. (Communication Sciences and Disorders, Genetics minor) and clinical fellowship at the University of Wisconsin-Madison. Dr. Welham specializes in the assessment and treatment of patients with organic, neurological, and functional voice disorders, resonance disorders, and upper airway disorders such as paradoxical vocal fold motion. He is certified by the American Speech-Language-Hearing Association. Dr. Welham’s research program in vocal fold biology has been funded by the National Institutes of Health since 2007. His group investigates a series of clinically-motivated topics, including vitamin A transport and the role of macula flavae stellate cells in vocal fold biology, vocal fold injury and repair, and vocal fold tissue engineering. Dr. Welham holds a particular interest in the application of systems biology tools to better understand the vocal fold’s biological complexity. His collaborative work spans the fields of biochemistry, cell and matrix biology, immunology, and materials science.